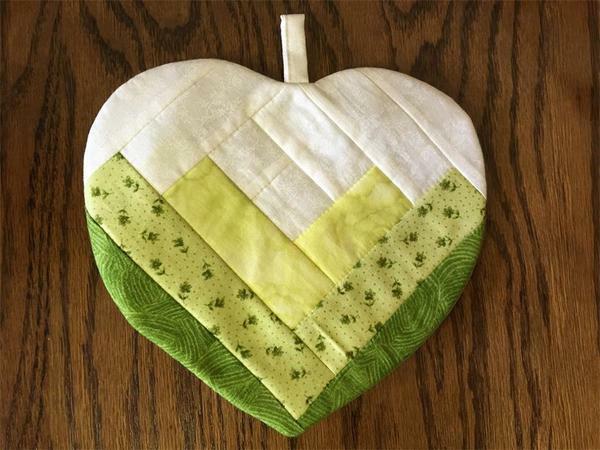 This Amish Quilted Heart Hot Pad is machine quilted using green fabrics and is in stock and ready to ship. Quilted hot pads make a great hostess gift or housewarming gift. Add it to a gift basket to bring a country touch. These Amish designed hot pads are also perfect stocking stuffers for Grandma or Mom!